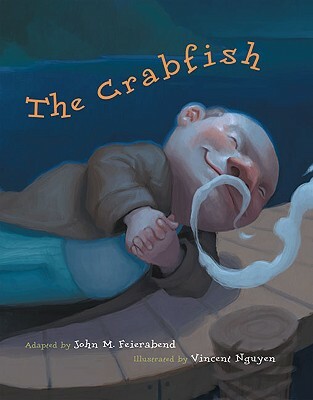 Classic folk music and colorful illustrations tell this funny tale of a little man who tries to help his sick wife feel better by granting her wish to dine on crabfish. Upon being presented to his wife for her examination, the wily crustacean pops up and grabs her by the nose. Passed down for 400 years through song, this folktale continues the oral tradition. The new edition includes a link to a free mp3 download featuring two versions of the song, one with a singer and the other with an accompaniment for singing along.